"I’m pleased to welcome Rita into this exceptional group of professional women,” said NAPW President Star Jones. “Her knowledge and experience in her industry are valuable assets to her company and community." The National Association of Professional Women (NAPW) honors Rita Kluny as a 2016-2017 inductee into its VIP Woman of the Year Circle. She is recognized with this prestigious distinction for leadership in holistic healing. 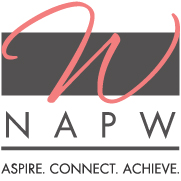 NAPW is the nation’s leading networking organization exclusively for professional women, boasting more than 850,000 members, a thriving eChapter and over 200 operating Local Chapters. Rita Kluny saved lives in the NICU, but there was an emotional disconnect. She explored other venues of healing and came across the American Holistic Nurses Association, becoming certified in Holistic Nursing, and Healing Touch. It is an energy-based therapy that promotes harmony and balance to accelerate one’s own healing process. She brought traditional nursing and the healing arts together to create a venue in which caretakers can better care for their babies. As a Healing Touch practitioner and instructor since 1993, Ms. Kluny started Healing Touch for Babies in 2000 and helps children and mothers all over the country. “I have a keen intuitive sense of where moms are coming from and what they need to hear to be able to move forward as they transition into motherhood,” Ms. Kluny said. To her, education is the key. With her guidance and practice, families can create the lives they want, and the quality time to go with it. Teaching those who are afraid of this unfamiliar style of medicine, love and showing the way to a new beginning makes it all worthwhile for Ms. Kluny. In the future, she hopes to create a radio show to interview experts about conscious pregnancy, birthing and parenting support.